Need ideas on what to buy for your sporty kid? Young athlete? 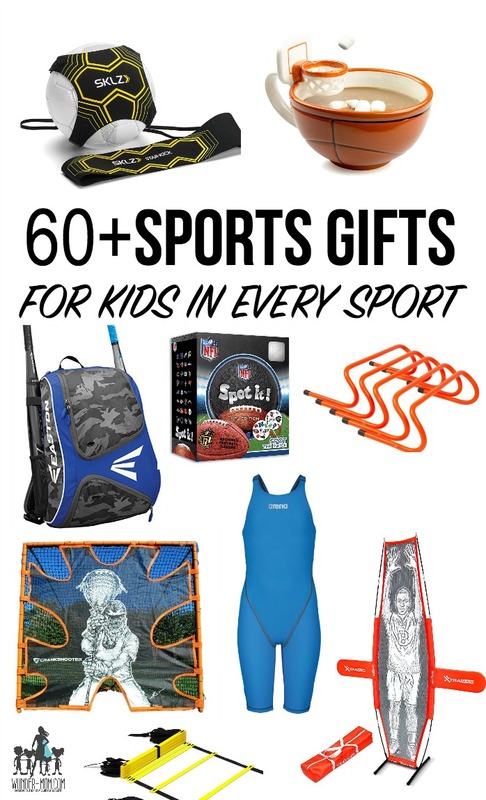 Get some ideas here of the best sports gifts for kids. What do you buy the kid that really isn’t into toys? The older teens or tweens that spend all their free time dedicated to practicing their favorite sport? I like to purchase sports gifts – that they will both use and love. Sports performance training equipment can add up and when your son is wanting the newest $300 baseball bat or your daughter is saving up for a super pricey tech swim suit, then the perfect gift for them is probably a sports gift. I appreciate non-toy gifts most of all. Gifts that kids are excited about having but don’t add to more clutter and will be played with twice and then lost in a closet some where. For my young athletes, sports gifts are the way to go! There are a few things to look at when purchasing sports gifts for kids. You can buy a sports gift for their specific sport – like a bat, ball, or apparel. Another direction you can go with sports gifts for kids is sports performance training equipment. This is athletic training equipment that can be used across all sports. The third category, and sometimes the most fun, would be novelty sports gifts. Items like autographed balls, books with statistics, or fun apparel. So let’s start with the sports gifts for individual sports. We play a wide variety of sports around here so I have a lot of fun ideas. It doesn’t matter what sport you play, you always have to cross train. Sports performance training gifts are great because they are unique and they fit a wide variety of sports and athletes. For speed training a resistance parachute or weight sled is a great sports gift idea. You can also look at a set of resistance bands specifically for speed training. Agility training is another area that all athletes work on. Some great sports gift ideas in this are would be an agility ladder or set of hurdles. A set of cones is perfect for running drills and makes another great sports gift for kids. Strength training is equally important and equipment like balance boards and medicine balls are versatile and used by all athletes. Novelty sports gifts are fun for kids that love sports, too! Although a novelty sports gift isn’t quite as useful as sports performance training equipment, they will surely love these gift ideas! Books with statistics are super fun sports gifts for kids, or A year in sports book that covers all sports. You may also find books like ‘the greatest of all time’ to be interesting in specific sports genres. Sports trivia books or your favorite sports themed game are terrific gift ideas. You can also find novelty sports gifts for kids like a basketball cocoa mug or a gatorade gift set, a toilet time golf putter for those with a great sense of humor or sports themed socks for someone more practical.